Pilsner Urquell is a more than 175-year established Czech lager brand with 440 000 fans on its global Facebook page. For a couple of years, they have been the main partner of one of the most successful national teams in the world – the Czech national ice hockey team. 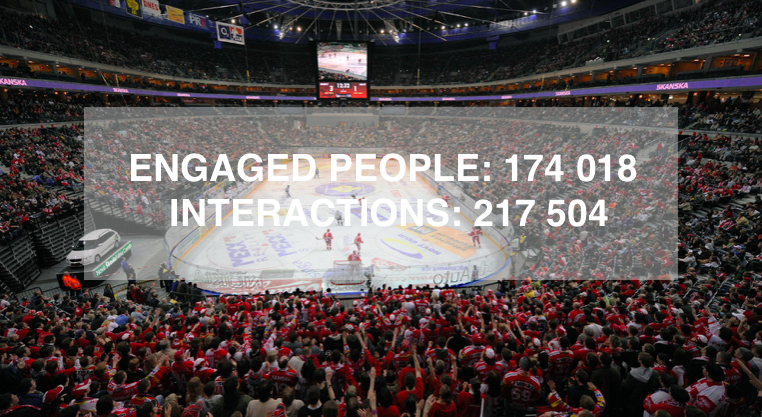 Ice hockey is the number one sport in the Czech Republic, so being a partner is a really big deal. Their creative agency, Triad Advertising came up with a campaign which would require quick reactions and a bit of prophesying. They based the campaign – #chcemezlato (#wewantgold) on fast reactive posts after each of Czechs’ game in the World Championship. The speed of reaction was crucial – no one is interested in hours-old posts with a new game happening every day. Our client was brave enough to reallocate significant budget from TV to digital in order to avoid advertising clutter. We had a great opportunity and responsibility to use it efficiently – but to leverage the momentum, timing was crucial. Our campaign was successful thanks to careful planning of all possible match results – and when working under such time pressure, Kontentino was essential to manage our communication with the client. They were even more important since Pilsner Urquell didn’t have their own anchors at place – they didn’t have the possibility to conduct interviews with the players or ‘transfer’ the atmosphere at the event. Everything had to be done on social media. It’s all in the planning. For that Triad used Kontentino. Obviously, no one is as quick to create a quality reactive post within minutes after the result is clear and therefore all the content had to be prepared several days or even weeks before the championship. For every game, 2 possible outcomes were possible – win or loss. Therefore the agency’s social media team prepared posts for both these scenarios. But not only that – they were specially tailored for the team they were playing against. No generic posts were allowed. Playing Canada? Bring on the maple leaves! Swiss army knives before playing the Swiss, etc. They also created such pre-game teasing posts – making it a total of 3 for every match. All of them were collaborated on and approved internally using Kontentino which eliminated redundant unnecessary tasks. In such a quick-paced campaign that’s quite important to use the time available effectively and to incorporate learnings from already published posts. Also incredibly important was mistake prevention – who’d want to offend a few-million-strong group on Facebook by posting something untrue or include a spelling error in a post about their darlings? That’s what multiple approval levels including those by clients are for. Since we didn’t have access to the championship itself, we heavily relied on the speed of reaction. Kontentino was great for this – we did all the approval work beforehand and when the moment came, we posted the adequate posts without the chaos and stress of unnecessary mistakes. Because of the possibility of planning content in advance, incorporate learnings quickly and being able to post ASAP all thanks to Kontentino, Pilsner Urquell reached roughly half of the Czech Facebook population. But not only that – the engagement and interaction numbers were through the roof. People were more keen to react with real-time posts – emotions and adrenaline were high also thanks to the topic – sports. And all that with the media budget which would usually be only enough for streaming their ad on TV once. But it didn’t only stay on Facebook – Pilsner Urquell’s brand awareness rose by 6% and brand consideration by 14%. Timing is everything – in social media especially. Try it for yourself – sign up for a month for free here.